Claude Nicolas seeks to deliver timely and effective results for his clients. Understanding their need for dependable legal counsel as well as efficiency in closing deals, Claude brings a keen eye for legal issues to each client’s development project, while never losing sight of the client’s end goals. 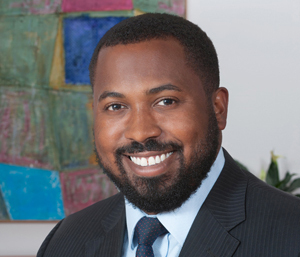 Claude focuses his practice on the acquisition and disposition of real estate in the firm’s Real Estate practice group. He has significant experience in drafting, reviewing and negotiating agreements and other documents related to the purchase of real estate. Claude earned his B.A. from Temple University and his J.D. from the University of Maryland School of Law, where he served as a notes and comments editor on the Maryland Law Review. After earning his law degree, Claude worked as a judicial law clerk in the Circuit Court for Baltimore City. Prior to joining Shulman Rogers, he worked as an associate in a boutique law firm in Washington, DC, where he acted as outside general counsel to various entities, and managed various real estate matters for community associations, businesses and individuals. Before his legal career, Claude was a journalist for a community newspaper in the Philadelphia area where he reported on local news and events.